MAC designs, builds and installs, pressurization and circulation “skid” units. Available in various ladder configurations and control and communication capabilities. MAC designs, builds and installs, pressurization and circulation “skid” units in which pumps, valves, piping, and controls are all on a small self-contained frame and the only significant component not on the skid is the tank. 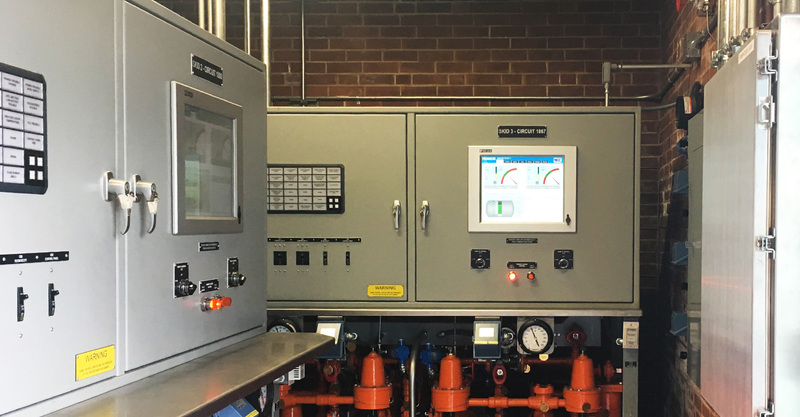 This design is particularly useful in a refurbishment of an old plant, where the tank can still be used and the original pressurization system was skid mounted. 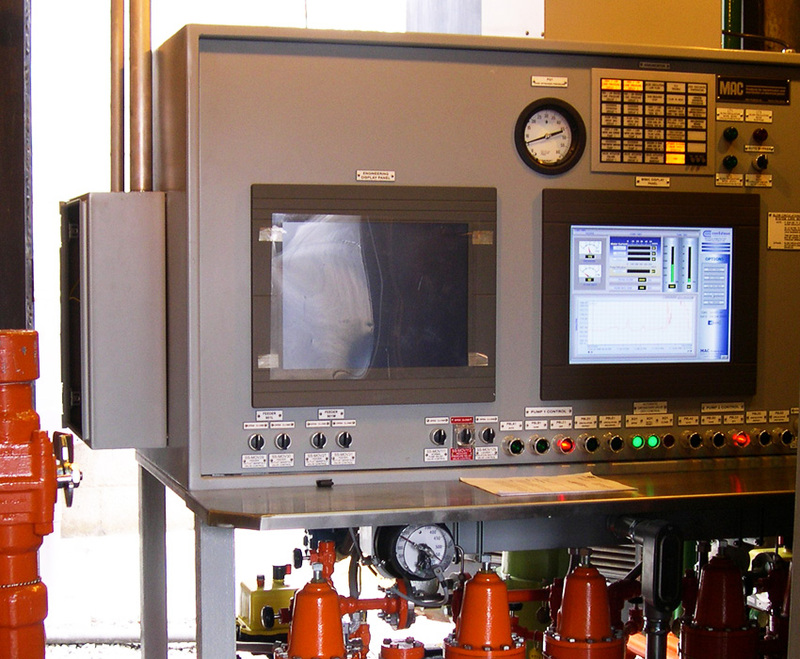 Our self-contained skid units can be used for a variety of different things, such as distillation or filtration systems. Copyright © 2019. All Rights Reserved MAC Products, Inc.